They have been in the trenches fighting for the safety of women and children for years. Their weapons are blankets, sponges, towels, bandages, bottles of medicine, syringes scalpels, gentle love, caring, and sharing. 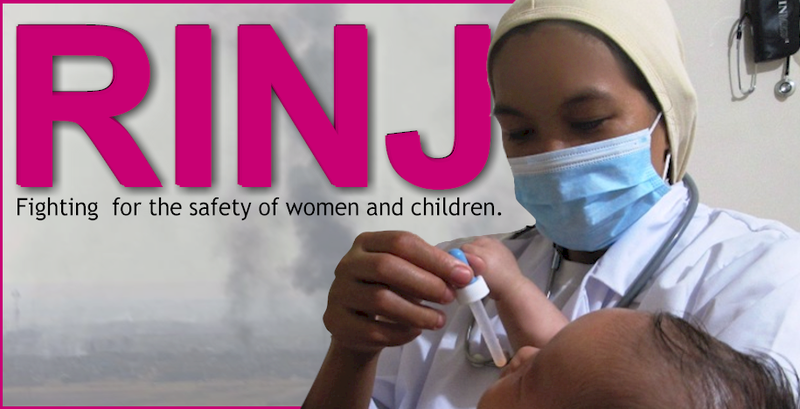 The RINJ Foundation Women say they have seen the worst of mankind exploit and harm the most vulnerable of mankind claiming “God” and “Justice” as their empowerment and impunity for crimes against humanity. But when the President of the United States of America rips over 2000 migrant children from their mother’s arms, some of them just little babies, “America, the last bastion of so-called liberty and freedom is collapsing into a cesspool”, says RINJ’s Sharon Santiago. “We cannot stand by as just one criminal does this crime in the name of 330 million freedom-loving Americans”, she added. Santiago and RINJ Director Katie Alsop recently joined others from around the world to meet with senior RINJ executive in South East Asia to discuss their Human Rights violation complaint filed against Donald Trump with the extraordinarily fair, effective and reasonable United Nations High Commissioner for Human Rights, Zeid Ra’ad al Hussein on May 24 Geneva time. The initial May 24 complaint can be read here. The meeting was important because a decision had to be taken on the next best step in a class action complaint of sobbing families separated from their children. The witnesses, says Santiago, are afraid to speak out while their children are in custody, somewhere, for fear of reprisals from racists among the cult-like followers of Donald Trump. The ACLU has said that children in such custody are in danger of physical and sexual abuse. Meanwhile the crime is a crime against humanity in one context but in another it is a crime against the convention on the rights of a child. In International law, the United States has continually found impunity by withdrawing its signatory status from human rights statutes. 2) Withdrawing its membership from international tribunals to avoid accountability. A day after both the Secretary General of the UN and the Human Rights Commissioner admonished Trump on the separation of migrant families, the United States withdrew its membership from the United Nations Human Rights Council. But the Human Rights violations were committed during the time of US membership. The complaint still stands despite Trump’s so-called promise to stop confiscating children from their families. Over two thousand confiscated children taken since the complaint was filed have not been returned to their parents. Trump is now saying that he will order the deportation without trial, of all the parents. RINJ Lawyers are undaunted by Trump’s continued pursuit of impunity and say they will find an effective venue if the US authorities investigating the matter are unsuccessful.